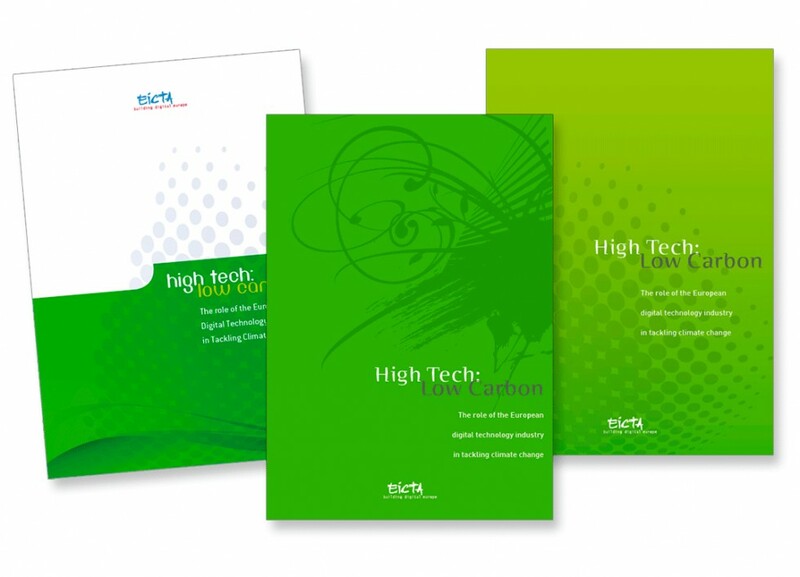 Brochure « High Tech, LowCarbon » pour EICTA (European Information, Communications and Consumer Electronics Technology Industry Associations – Associations européennes d’information, communications et technologie d’électronique grand public). DIGITALEUROPE represents the digital technology industry in Europe. Our members include some of the world’s largest IT, telecoms and consumer electronics companies and national associations from every part of Europe. DIGITALEUROPE wants a European Union that nurtures and supports digital technology industries, and that prospers from the jobs we provide, the innovation and economic benefits we deliver and the societal challenges we address.